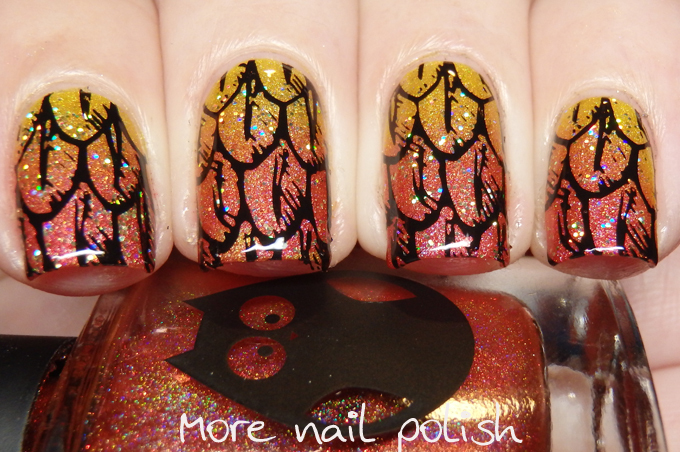 Day 3 and today we have the Phoenix. When I think of a Phoenix, I always think of Fawkes from Harry Potter. 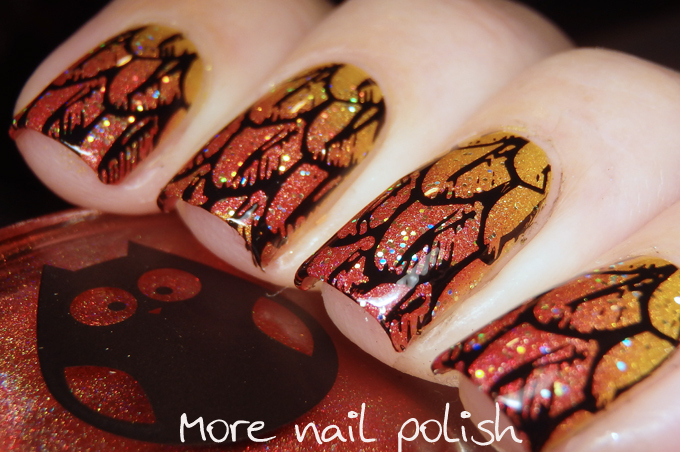 I created a holo gradient using two Anna Gorelova polishes from Dance Legend. These are front the Anna Gorelova Summer collection from last year and the two colours are 26 (yellow) and 31 (orange/red). For a bit of extra bling I sponged on a for bright yellow holo glitters. 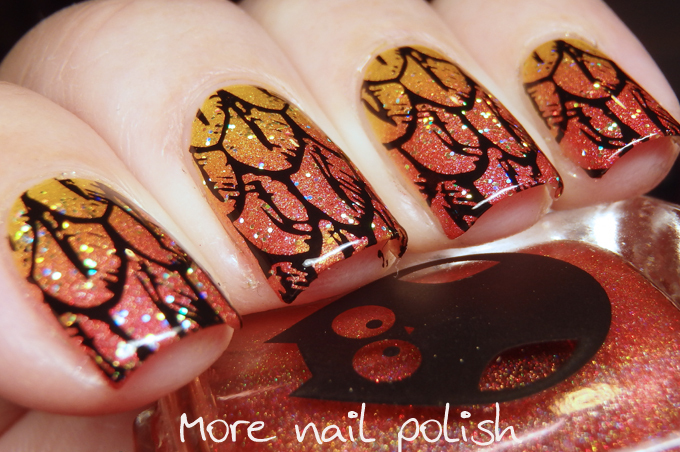 Stamping is from Messy Mansion plate MM14, which has a range of bird themed images on it. 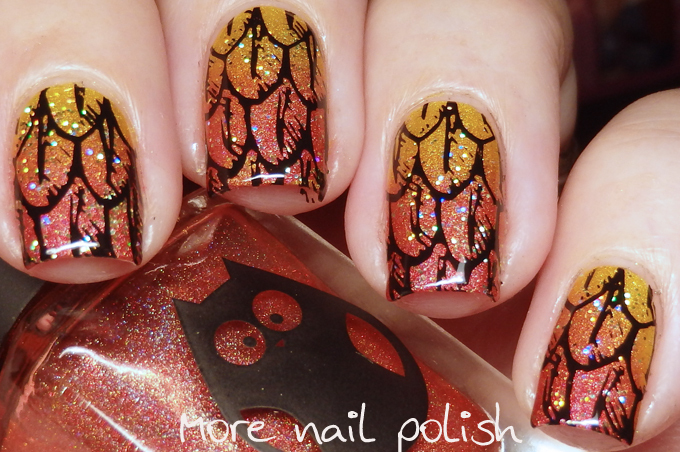 I love love love this take on the phoenix, and the little spray of sparkle is perfect!